Girls on the Run is a program that was founded in 1996 by a mom who wanted to find a way to share with other girls what running had given her. For Molly Barker, running had been her escape, her therapy, her health, a way to work out problems and something that had really been a cornerstone of her life. She wanted to give that to other girls so started an after school program that teaches girls to be joyful, strong, courageous and make choices that are good for themselves and others through the use of athletics, team building exercises and some good old girl talk. The program grew from 13 girls to over 120,000 girls in 200 cities. Chloe is in her second session of Girls on the Run and loving it. She meets twice a week after school and always talks about the new things she learned about health or her decision to not smoke. 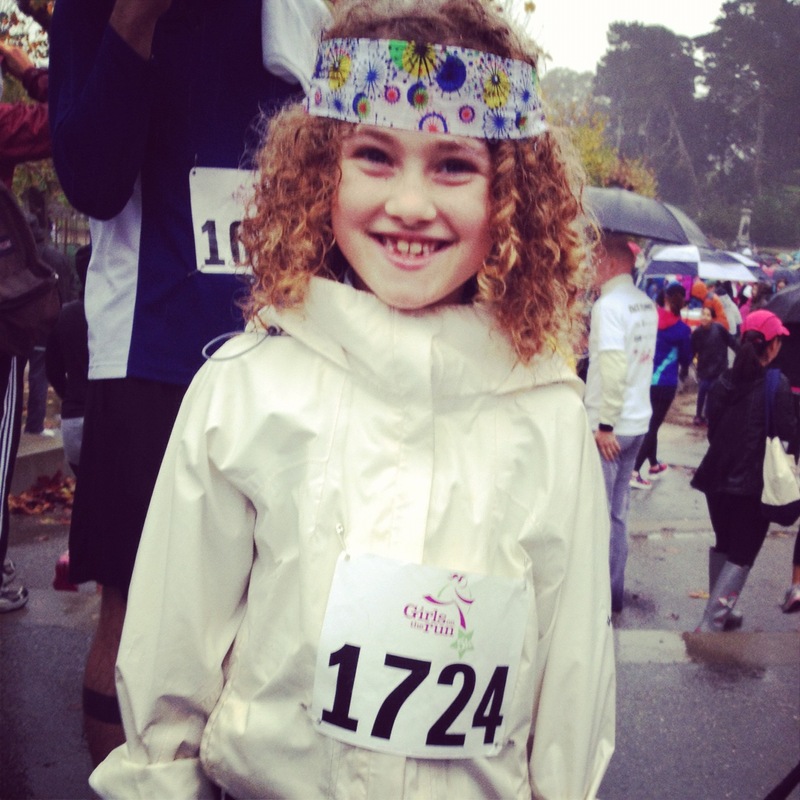 Part of the GOTR program is training to run a 5K. She ran her first 5K last fall. I was so proud of her. The program is almost all volunteer based. Girls on the Run Bay Area is run out of the Mission District. They have 3 staff who are in charge of organizing the program for over 500 girls. It is quite the job. Natalie said they would benefit from donations and you can donate HERE, but she also said that entering the 5k race would be another way to help or if you really wanted to get in there and do some good, sign up to be a coach or a running buddy for the day of the race. 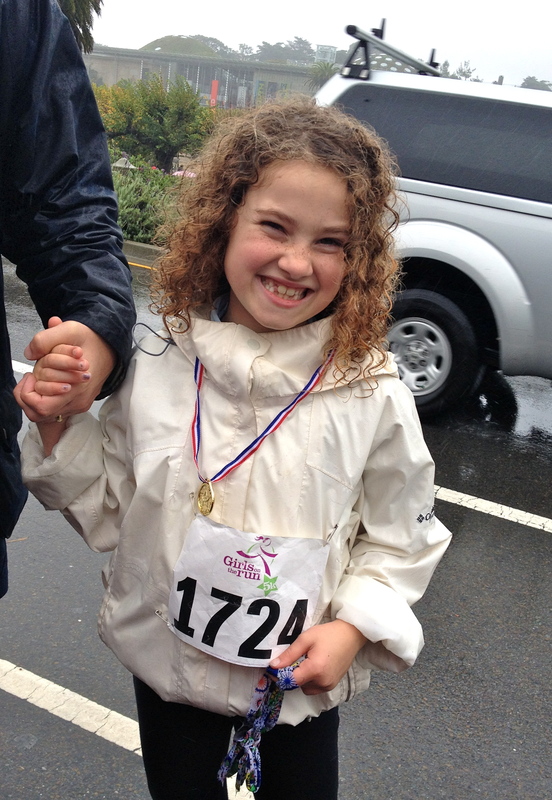 She ran a 5K in the rain. I was proud of her, but even cooler to see was how proud she was of herself.